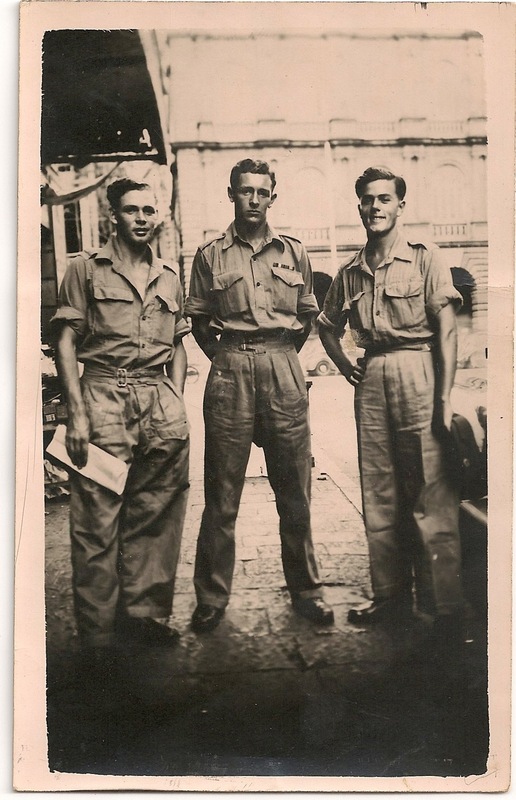 At the age of 17, a year before he was called up to serve in the war, Charles Medhurst opened the telegram which told him that his 19-year-old brother had been killed in Burma. Now at the age of 89, Charles is embarking on an emotional journey to the Kranji War Memorial in Singapore to find his brother’s name. “I had a terrible feeling as I opened the telegram,” said Charles, from Greenwich. “I had to go and tell my mother, who collapsed. She never got over it. She never said anything when I was called up a year later but she must have been upset. As a telegraphist in the Navy, Charles had to take down Morse code messages at a speed of 26 words a minute. Charles found himself on HMS Malaya – a battleship that took part in the bombardment of German fortifications on the French island of Cezembre. Charles was due to take part in D Day but Malaya was replaced shortly beforehand by HMS Warspite. Malaya sailed to Scotland and took part in trials of updated versions of the bouncing bomb famously used in the Dambusters raid. Malaya moored in Loch Striven and while a crew including Charles was on board, inert prototypes were aimed at the ship, successfully striking Malaya. One was reported to have punched a hole in the ship’s side. “I do remember a dummy bomb actually hitting our ship while I was on board!”, said Charles. Charles sailed by liner from Liverpool to Halifax in Canada where he took a five day train ride through the Rockies to board HMS Beachy Head in Vancouver. From there the ship sailed via San Francisco to the Polynesian island nation of Tuvalu in the Pacific. If Tuvalu represented a South Pacific paradise, the next destination was a stark reminder of the war that still raged elsewhere in the Pacific. After refuelling in New Guinea, Beachy Head sailed to the Solomon Islands and towards Singapore. Charles returned home on an aircraft carrier via the Suez Canal and was demobbed in October 1946. Charles said: “When I joined the forces I’d never been away from home. We were a poor family. I was lucky during the war – I didn’t fight in the front line and didn’t face the dangers that others did. “When my brother was killed, all that my mother got was a telegram saying he had been killed on March 24 1942 and that there were no remains or personal effects. “It wasn’t until last year that I decided to try and find out more. I contacted the War Graves Commission and they put me in touch with the Royal Air Force. I received a very helpful letter about what happened. 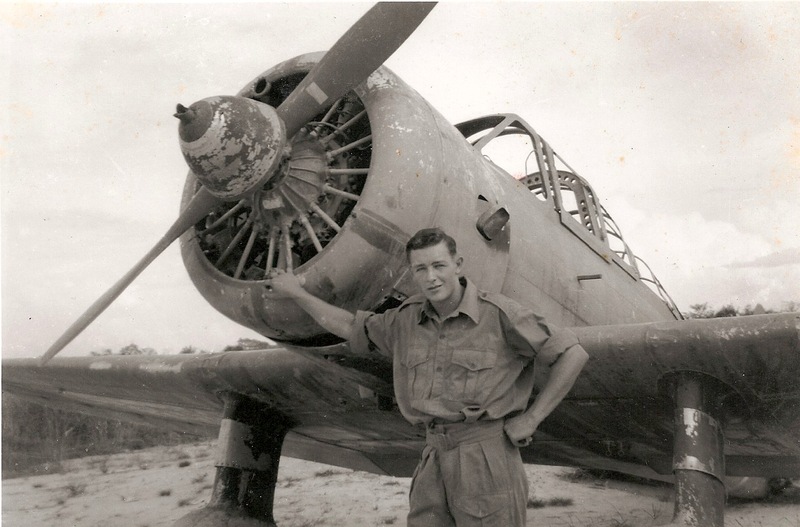 Henry was ground staff with the air force in Burma. They were being evacuated as the Japanese advanced but didn’t get out in time. The Japanese launched an attack on the airfield in Toungoo with grenades and mortars. Charles is currently preparing for his visit to Sri Lanka and Singapore where he will make an emotional visit to the Kranji War Memorial to find his brother’s name. A WWII veteran will travel to Malaysia to lay a wreath at a Remembrance Day ceremony to mark the sacrifice of soldiers in liberating the region from the Japanese. Bob Simmons, 86, will be making the 8,000 mile commemorative trip to Penang as part of the Big Lottery Fund’s Heroes Return programme. Bob, a corporal and radar mechanic with the RAF, will be laying the wreath at the state cenotaph alongside the British High Commissioner and the Chief Minister of Penang. 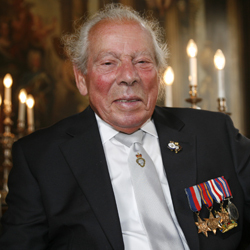 Bob was born in Belgium, the son of a British soldier who had fought in the First World War, and lived in Ypres where an expatriate outpost grew around the British ex-servicemen who cared for the war memorials and cemeteries of ‘Flanders Fields’. 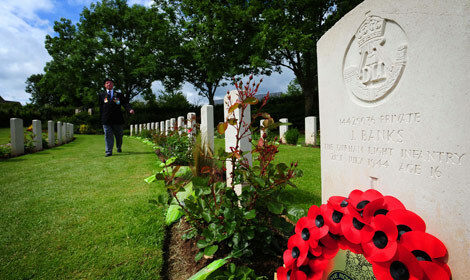 Bob went to the British Memorial School in Ypres, the subject of a recent BBC Four documentary. 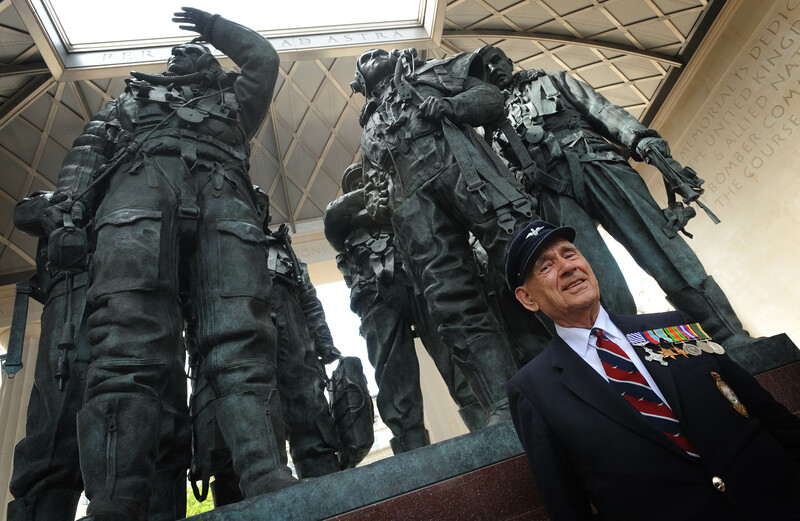 His family fled Belgium for England in 1940, just before the Dunkirk rescue, and lived in Selsey Bill, on the West Sussex coast during the Battle of Britain. He recalled: “One day a Junkers 87 came over our home and crashed. I scrambled on my bike with a hammer, pliers and a saw. By the time I got there two of the crew who survived were being marched away by the Home Guard. I managed to take out the radio transmitter because my father once owned a radio shop in Belgium and was an amateur radio enthusiast. I gave it to him and he used it to build an amateur radio transmitter. He also had a receiver and we used to tune into the fighter pilots talking to ground staff which was incredibly exciting. Bob managed to get a job with the BBC by pretending he was older than he was and was sent on courses on oversees radio signals and frequencies. Aged just 16 he even had experience of swapping local transmitters to confuse enemy bombers. At 17 he volunteered for the RAF. 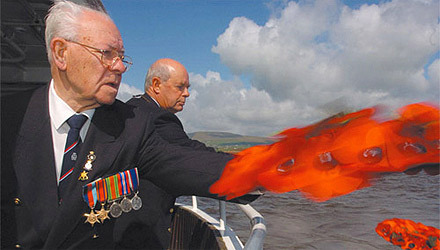 Bob sailed from Liverpool in January 1945, zig-zagging to avoid U-boats, towards the US before sailing around Ireland down to Gibraltar, through Suez to Bombay, across by train to Calcutta and eventually to Burma where his overloaded ferry nearly capsized in a river on the way to Chittagong during a storm. In Burma he served in Chittagong, Ramree Island and Rangoon. He was then sent to be part of the liberation of Penang. Bob experienced two brushes with death while serving in Southeast Asia. He recalled: “I remember a Japanese bombing raid at a US base. We dived into some trenches with some US servicemen and I remember one American saying ‘Gee this is just like Pearl Harbour’. It was funny because I’d experienced more danger back in England. At Penang he set up a radar beacon at Bayan Lepas airport, helping the planes which were evacuating all the POWs back to the UK. He spent Christmas in Singapore and then served was sent to Borneo in 1946 for two years before being demobbed. One of his lasting memories from his service is the haunting sight of Allied POWs, some who had been freed from the notorious Changi jail in Singapore. He recalled; “We were evacuating those who were fit enough to travel. They had washed and been given clean uniforms but they were very emaciated and stooped. Many looked broken mentally. And these POWs were the fitter ones. 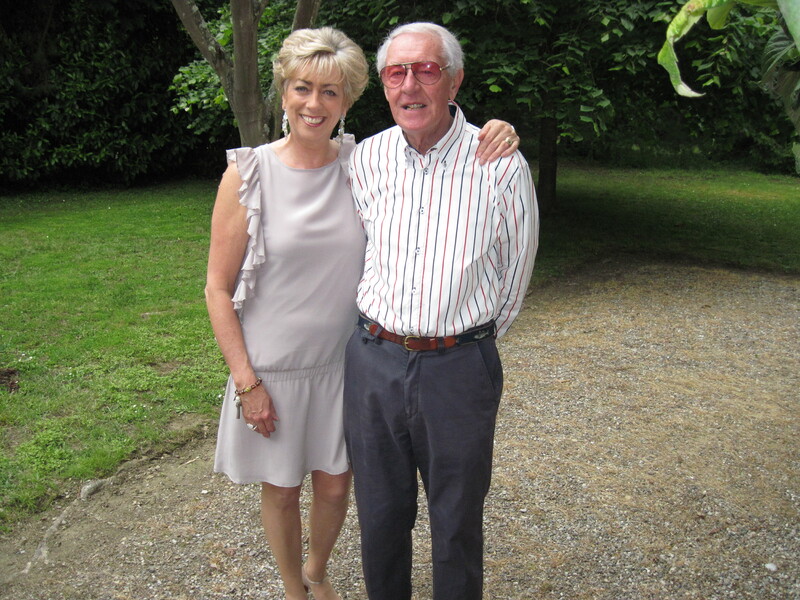 Bob lived in Camberley, Surrey, for many years and Teddington, London, before moving to Toulouse in France in recent years. He now splits his time between there and family in Tonbridge, Kent. To mark Remembrance Sunday, we have produced a podcast featuring the moving stories of two veterans who have received funding through our Heroes Return scheme to visit the places they fought. 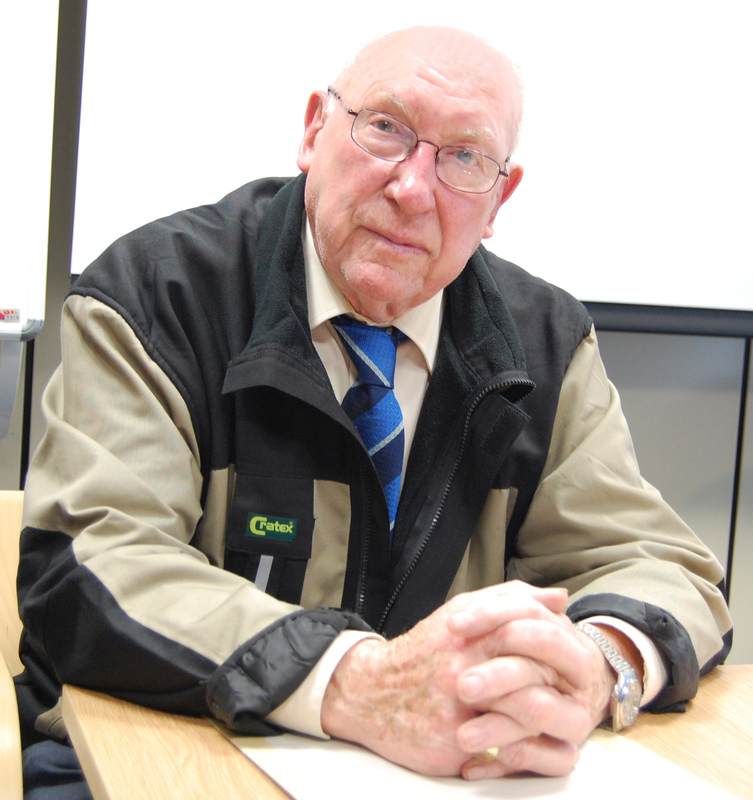 Doug Mayman is travelling back to Lucheux, Normandy in April with his daughter to retrace his steps using World War II diaries that he kept, and Ted Hedges, who served in RAF Coastal Command, hunting for the U-Boats targeting allied convoys, talks to us about his trip back to the Azores. Big Lottery Fund Chief Executive Peter Wanless talks about what Heroes Return means to him and the Big Lottery Fund. As the nation prepares for ceremonies to commemorate the heroism of a special generation on this Remembrance Sunday (Nov 14th), the Big Lottery Fund announces its latest round of funding made today across the UK enabling veterans to embark on poignant visits back to the places they saw action almost 70 years ago. Since launching in April 2009, the Big Lottery Fund’s Heroes Return 2 programme has enabled more than 11,300 veterans, widows, spouses and carers in the UK to go on emotional trips, home and abroad, to honour and remember those that did not return from the battlefields of 1939-1945. These are very special people and as Remembrance Day approaches we are glad that we can pay tribute to them in this way. A huge debt of gratitude and recognition is owed by today’s society to the men and women who fought across the world during the Second World War. They built the peace and protected the freedoms we enjoy today.